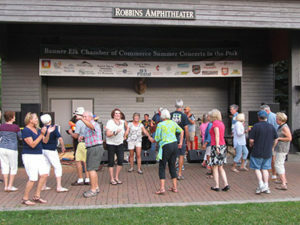 Concerts in the Park, sponsored by the Banner Elk Chamber of Commerce, are a popular summer activity in Banner Elk. Each week features live music by North Carolina and regional bands, with food, beer and wine vendors are available. Music begins at 6:30 p.m. and attendees are encouraged to bring lawn chairs or a blanket to enjoy the music under the stars. please contact us at at 828.898.3500, email us, or use our online request form.